Can you tranquilly go to your job every day and serve the system happily in whatever way you serve it? When you get home, can you relax and switch on cable TV for a few thrills or laughs, then go to sleep in peace? Can you do all that while White people — totally innocent White people, farmers, workers, men, women, the elderly, little schoolchildren, even babies — are being killed just because they’re White? WHICH WAY will it be, Western Man? Will it be upward to a future of light, of undreamed-of advances, toward a pinnacle of civilization beyond anything we can imagine, toward a destiny in the stars? Or downward toward a Black abyss, an Afro-world of degradation, of drugged unconsciousness, of weak, undeveloped men on the road to extinction, of outrages upon our women and children? Today I show you the path we are on now: I show you a White girl who believed her teachers and the churches and the controlled media, and who engaged in a sexual relationship with a Black male — and paid for it with her life. Today I show you two White women walking the streets of once-White and once-safe Minneapolis, Minnesota who were stalked, then robbed and choked and stabbed by a Black assailant who is still at large, and major media remain silent on the race of the attacker. That is the downward path. That is the abyss. 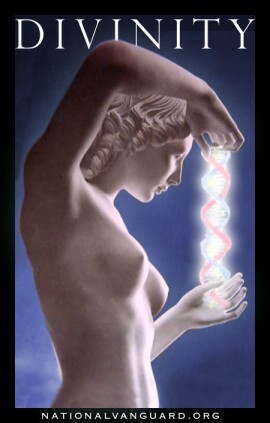 MONEY IS THE MEANS by which we are enslaved. But not one man in 1,000 knows how it is done. Today I am going to tell you. There are many half-truths being vended on this topic in the so-called “patriot movement” and conservative and libertarian movements these days. 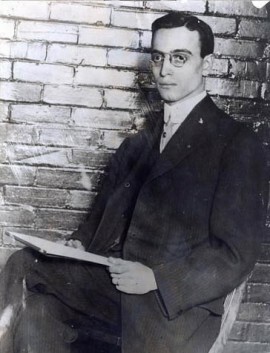 THE 1913 MURDER of child laborer Mary Phagan by her Jewish boss Leo Frank (pictured), which I detailed for you on last week’s program, was clearly established by the evidence and confirmed by every court and every jury which had jurisdiction over the case, including multiple appeals that ultimately ended up — twice — at the Supreme Court of the United States. In every instance, the evidence was found to be sufficient to convict Leo Frank of Mary Phagan’s murder beyond any reasonable doubt. In every review, the procedure of the trial was found to be proper. In every appeal, no violation of the rights of the accused was found. Yet the media — the daily press, books, film, and television — speak with one voice: Leo Frank, they say, was an innocent victim of Southern “anti-Semitism.” Hatred of Jews was responsible for his prosecution and conviction. An inflamed, bigoted mob intimidated the judge and jury. That is the “received narrative.” That is what the massive media power of the Jewish establishment have made “common knowledge” by incessant, one-sided repetition. But it’s utter nonsense.